Ireland’s long term economic health is widely acknowledged as being dependent on the successful planning and delivery of key infrastructure projects. But, it is also accepted that it will take new thinking, new policy and new complex funding and financing initiatives to bring this to fruition. Despite the government remaining committed to investment in infrastructure development across the country, there are growing concerns over a significant shortfall in funding across many areas. Ireland’s capital investment expenditure is the second lowest in the EU, yet we have Europe’s fastest growing population. Equally, both the public and private sectors will require a better understanding of what the key stakeholders and users require both short and long-term. In short, after years of suffering an investment crisis in infrastructure since the crash, where will Ireland get the additional funding, expertise and government backing to guarantee the delivery of key projects? 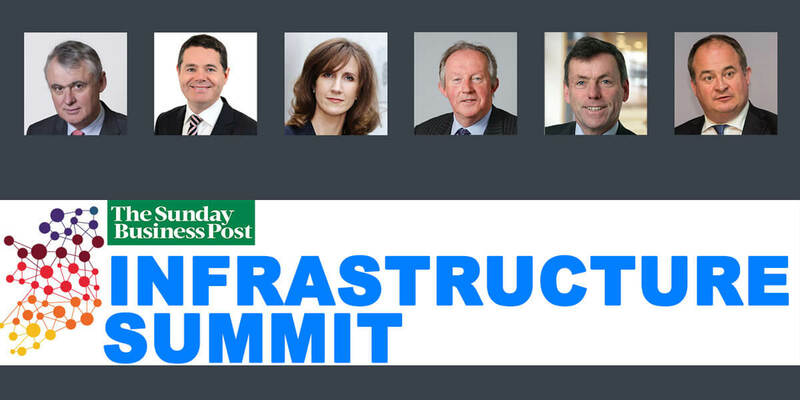 The Sunday Business Post’s 2nd National Infrastructure Summit will bring all the key stakeholders together in one room on one day to explore the various options we have available to narrow current shortfalls in terms of funding, financing, planning, delivery and ownership.